As many of you know, we always try to create content that is valuable to you and your business. Most of the posts here on eJenn Solutions are all questions that have been asked or helpful tools to help you problem solve. While this post is not a direct question we’ve been asked, it does answer an underlining problem. That problem is figuring out when to outsource your social media tasks, have someone internally do it or do the work yourself. The following are a few points to consider before making that decision. 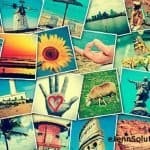 Why Should You Outsource Your Social Media? The why outsource social media part may seem easy enough for some, to others, not so much. Outsourcing your social media gives you time to spend on business matters like sales, accounting, employee management, daily work, etc. 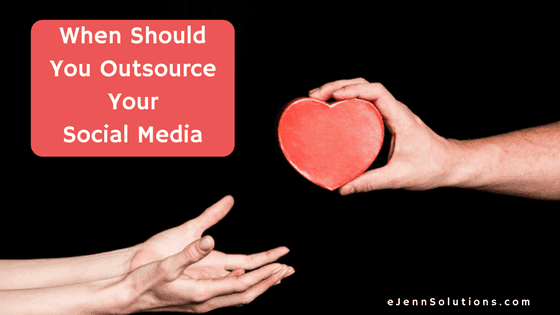 We created a whole post on this subject and you can read it here: Why outsource your social media? When you are ready to get serious about your social media / online marketing, you want to make sure your foundation is set up correctly! So the following are 7 things you need to have completed before you even begin your online marketing / social media strategy! This may seem like a logical step, but sometimes the business mood strikes and people have a product or service before they’ve even gotten a website. I’ve also come across people who haven’t selected the right website vendor and been left without access or even a website. Lots of things can cause this, regardless of the reason. Get a website. This is digital real estate that you own and goes with your off line business. You OWN this real estate. This is an easy one! Make sure that all your social media accounts use your correct company name. Don’t get fancy, this is important for branding and for SEO. All social media accounts should have your business name listed fully. If it’s too long for let’s say Twitter … be reasonable with the Twitter ID, but have the full name in the account name section. Facebook may not let you have a vanity URL until you reach a certain number of new fans. Once you get that approval – go for it! This is a step many, many business owners miss. Verification of pages. See the screenshot below where to find page verification in your admin section. YouTube has an associated website verification and if you want to do any live streaming with YouTube – you need to verify the channel by phone. Don’t forget you have to verify your Google My Business page with a mailing address as well! These 3 platform verifications are in addition to the normal email verification that is required for use of the platform. Whew … that’s a lot of verifying – but it’s well worth it and you’ll have a functioning social media site! This is an important step for owners. If you have someone else creating your social media accounts, ALWAYS maintain access to those assets. Make sure your personal profiles are connected to business pages as admin, owner or whatever the highest access is available on all accounts. Always keep an info sheet with login and passwords for your accounts. Keep it in a safe place and always keep that info sheet up to date. This is your business and your digital assets for the business – keep good records. If you are a solo entrepreneur and you are the only one working on your business, have a back up with access. You can have a family member or an additional account have access. This will help you if your profiles are hacked or other various things that can come up. As we said before, don’t get fancy. You want to brand your company name across all platforms. This also goes for the photos you use on social media. Try and have all profiles and all cover photos similar. It’s good to keep the visual branding going. You are a business with an expertise in something…. your product, your service or you! Come up with a plan or have an idea of the type of content you want to create. We’re big fans of blogs! This is content you own and sitting on a site you own. Wondering what to blog about? Pick the top 5 questions that people ask you in real life about your business and those make EXCELLENT blog posts … or live videos, or graphics … or… you get the idea! These are the items you need to have in place before you begin any social media program or strategy. 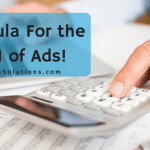 Having these items in place before you outsource to someone will be easier on your budget and provide you with insight into the platforms you are using. If the above seems to intense and daunting, never fear – eJenn Solutions is here – and we create all the above for clients when needed, we’d love to hear from you!